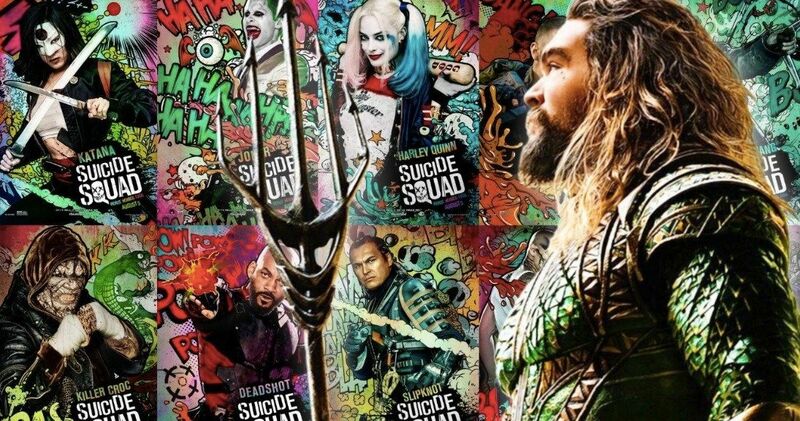 Aquaman has officially surpassed Suicide Squad at the worldwide box office. Following the release of Justice League last year, which managed to disappoint both critically and commercially, Warner Bros. needed to rethink their strategy with DC Films. As such, a lot of pressure was placed upon the shoulders of director James Wan to deliver a satisfying and successful movie with Aquaman and, safe to say, he’s done exactly that, given how well the movie is doing from a financial standpoint. As of this writing, Aquaman has grossed $751.2 million at the worldwide box office. That puts it ahead of 2016’s Suicide Squad, which brought in $746.8 million during its run. Much of that has to do with overseas audiences really enjoying Jason Momoa’s first solo movie as Arthur Curry, as DC’s latest had brought in $562.4 million internationally. The lion’s share of that total is from China, where the movie has made a very impressive $232.9 million so far. Aquaman had previously surpassed the totals of both Justice League ($657.9 million) and Man of Steel ($668 million). As it stands, Aquaman is still the lowest-grossing movie in the current run of live-action DC movies at the domestic box office, having made $188.7 million up to this point. However, the movie was released internationally ahead of its domestic debut. So it’s not as though U.S. audiences aren’t interested in the undersea epic, it’s just that they haven’t had quite as much time to throw their money at it. Wonder Woman still holds the top spot, domestically, with an impressive $412.5 million total. Aquaman will probably have a tough time overtaking Diana Prince in that category, but looking at the big picture, it seems likely that there will be a new king of the DC universe at the box office. Globally, Batman v Superman: Dawn of Justice is the highest-grossing movie in the DCU franchise to date, with $873.6 million. But Aquaman is going to benefit from a minimal amount of heavy-hitting competition in January and, assuming things continue to go well, the movie is on track to cross the $1 billion mark. That would make it the first DC movie of any kind to cross that mark since The Dark Knight Rises did so in 2012. The fact that an Aquaman solo movie is, in all likelihood, going to outgross a movie that has both Batman and Superman in it is something that would have been truly unthinkable even just a few years ago. Favorable reviews, when compared to many other recent DC movies, have helped the situation. Aquaman currently holds a 64 percent approval rating from critics on Rotten Tomatoes, to go with a very solid 81 percent audience rating. For the sake of comparison, Suicide Squad has a very poor 27 percent critic rating and a 60 percent audience score. Wonder Woman, again, is still the champion in this department, with a 93 percent critic rating and 88 percent audience score. These figures were provided by Box Office Mojo.